Synthetic peptide (the amino acid sequence is considered to be commercially sensitive) corresponding to residues in Human NDRG2 (UniProt: Q9UN36). Our Abpromise guarantee covers the use of ab169775 in the following tested applications. WB 1/1000 - 1/10000. Predicted molecular weight: 41 kDa. May be involved in dendritic cell and neuron differentiation. May have anti-tumor activity. Highly expressed in brain, heart, skeletal muscle and salivary gland, and moderately in kidney and liver. Expressed in dendritic cells, but not in other blood cells. Expression levels are low in pancreatic and liver cancer tissues; absent in meningioma. 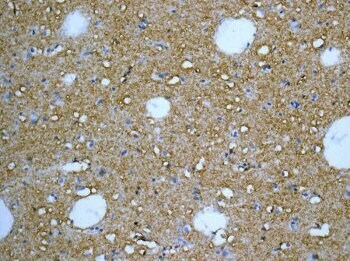 Expressed in low-grade gliomas but present at low levels in glioblastoma. Isoform 1 and isoform 2 are present in brain neurons and up-regulated in Alzheimer disease (at protein level). Belongs to the NDRG family. Specifically expressed during dendritic cell differentiation (in vitro). Expression is low in fetal brain and increases during brain postnatal development. Cytoplasm. Cytoplasm > perinuclear region. 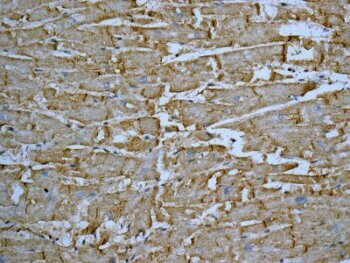 Perinuclear in neurons. 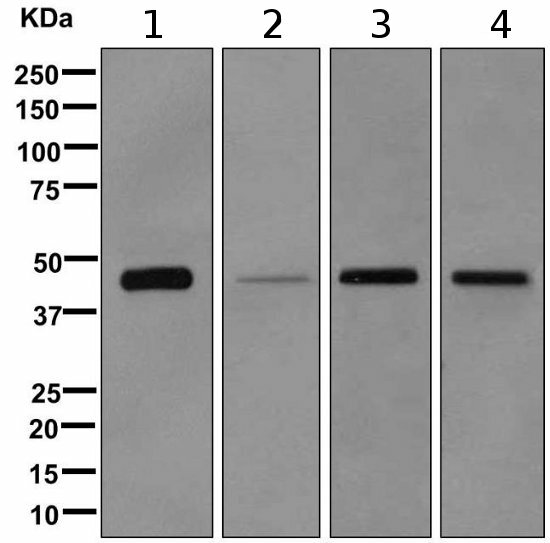 Immunohistochemical analysis of paraffin embedded Human liver tissue labeling NDRG2 with ab169775 at a 1/50 dilution. Publishing research using ab169775? Please let us know so that we can cite the reference in this datasheet. There are currently no Customer reviews or Questions for ab169775.